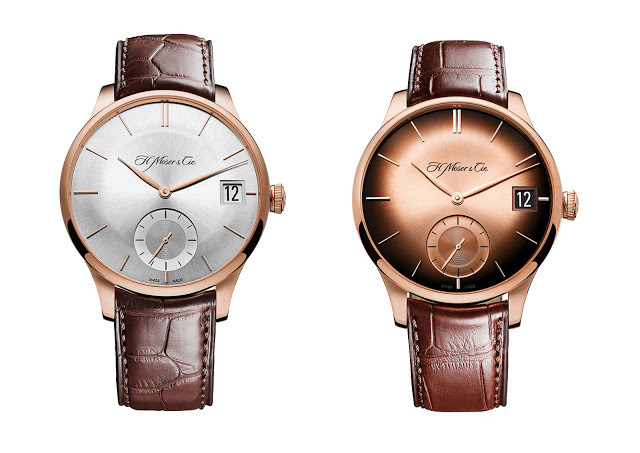 Simplifying its trademark perpetual calendar to the minimal, H. Moser & Cie. introduces the Venturer Big Date featuring an extra-large date display. 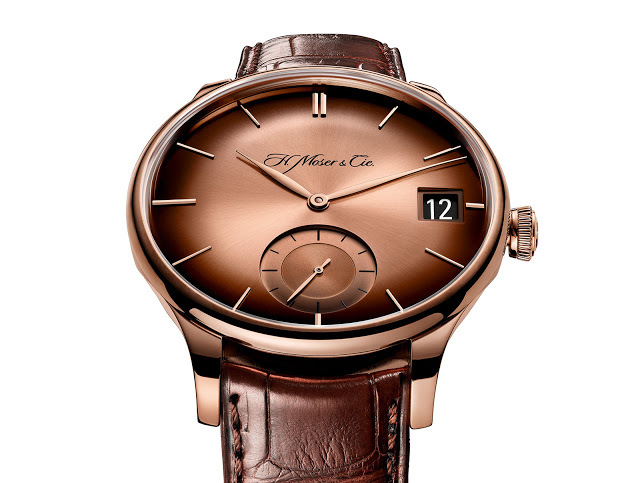 H. Moser & Cie. began with only one watch, the cleverly constructed and concise Endeavour Perpetual Calendar featuring an instantaneous calendar display. Now that flagship complication has been stripped of its fancier functions, leaving just the date display, creating the Venturer Big Date, offering the essence of the firm’s ingenious calendar movement at a more accessible price. Because the HMC 100 movement inside the Big Date is essentially a heavily simplified version of the movement in the perpetual calendar, the Big Date includes several of its bigger brother’s innovations. That includes the oversized date display on a single plane, meaning the date is not shown using two discs on separate levels as on Lange watches for instance. But because the movement is not large enough to accommodate all the oversized digits on one disc, it’s actually comprised of two superimposed discs, with a window on the upper disc to show the dates from 16 to 31. The date changes in a blink of an eye at midnight, instead of crawling over several hours as is typical of most movements. And it is also a robust mechanism that can be set both forwards and backwards, at any time, even when the date is in the midst of changing. 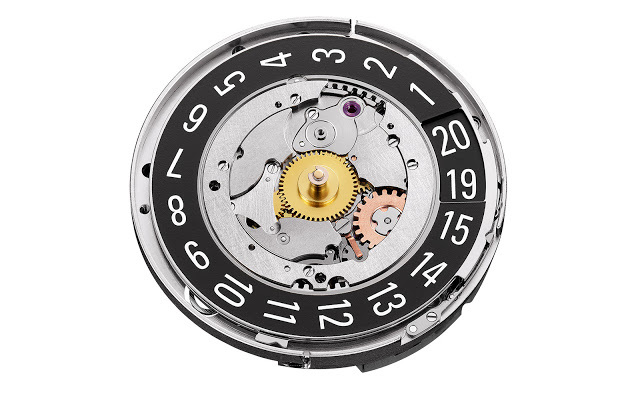 Even the setting mechanism is unique to Moser – the crown requires an initial pull and release, and then a second pull outwards to set the time. This means the date will not be inadvertently adjusted instead of the time. Put simply, it is idiot proof and almost impossible to damage, but the mechanics behind this convenience are complex. 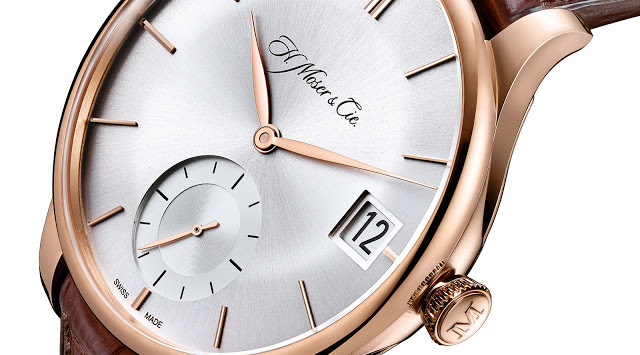 Like other Moser watches equipped with its top of the line movements, the HMC 100 inside the Big Date has an interchangeable escapement which can be swapped during servicing for faster turnarounds. And the escape wheel and pallet fork are made of hardened, 18k gold. Being the second model in the Venturer line after the Small Seconds, the Big Date retains the characteristic look with a domed dial and narrow bezel. 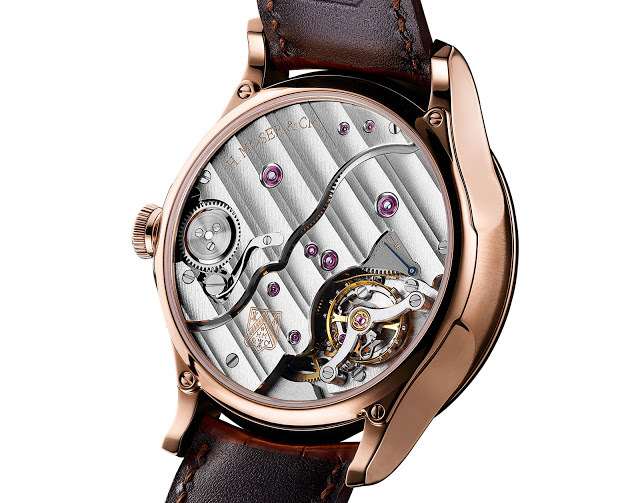 The case is 41.5mm in diameter and available only in red gold for now. Dial options are either silver or graduated, red gold fumé. The Venturer Big Date is SFr29,000 or US$29,000. That’s just under half the retail of the Endeavour Perpetual Calendar.